Beastie Boys have revealed that Eminem did not reach out to them before unveiling the artwork for new album 'Kamikaze'. 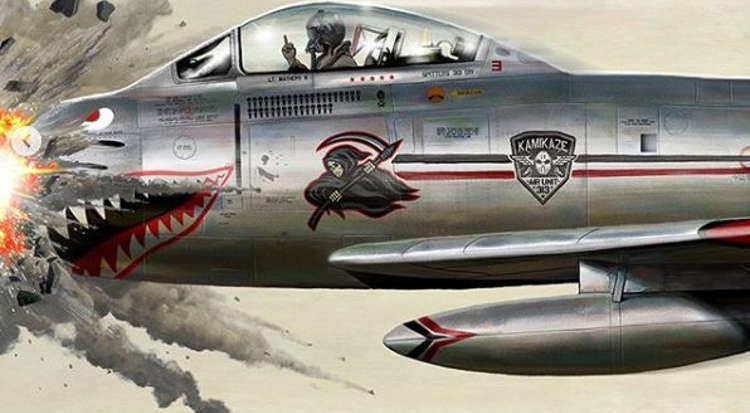 Out now, the album's plethora of diss tracks has landed the Detroit rapper in hot water, while the cover art - a plane crashing into a wall - was a clear homage to Beastie Boys' debut LP 'Licensed To Ill'. So was the artwork itself licensed...? Beastie Boys' Ad-Rock and Mike D spoke to the Strombo Show at the weekend, ostensibly about their incoming joint memoir. Beastie Boys Book lands on October 30th, but host George Stroumboulopoulos couldn't resist asking the pair about Eminem's artwork. Mike D said: "I got maybe 10 text messages, 20 text messages. And I’m like, Why do I all of a sudden have like 50 text messages? I better see what’s going on. Everybody’s forwarding me the album cover from, like, the Twitter feed, or whatever. So, that’s how we found out about it." Check out the conversation in full below.